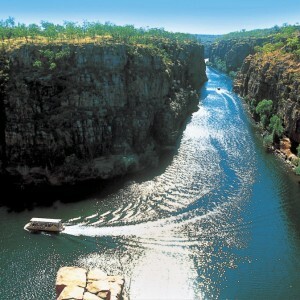 Optional Kakadu Air Scenic Flight. 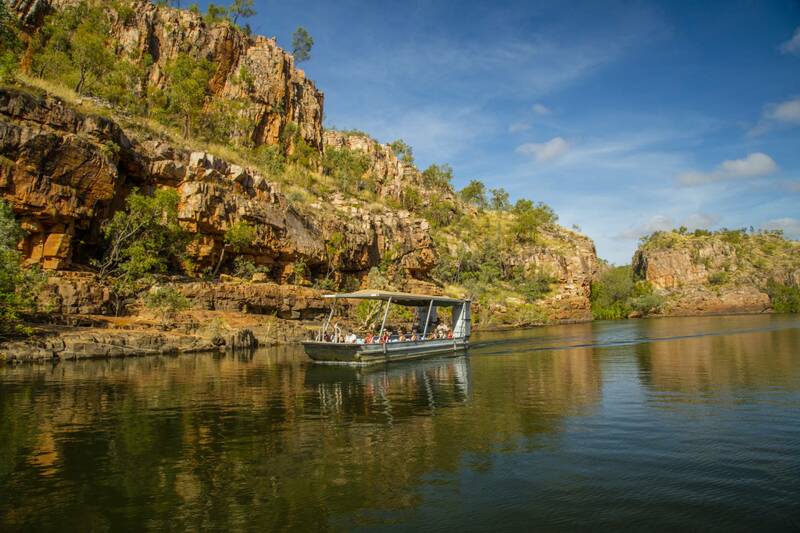 The optional scenic flight is to be arranged on board for tours departing before the 1st April 2019. 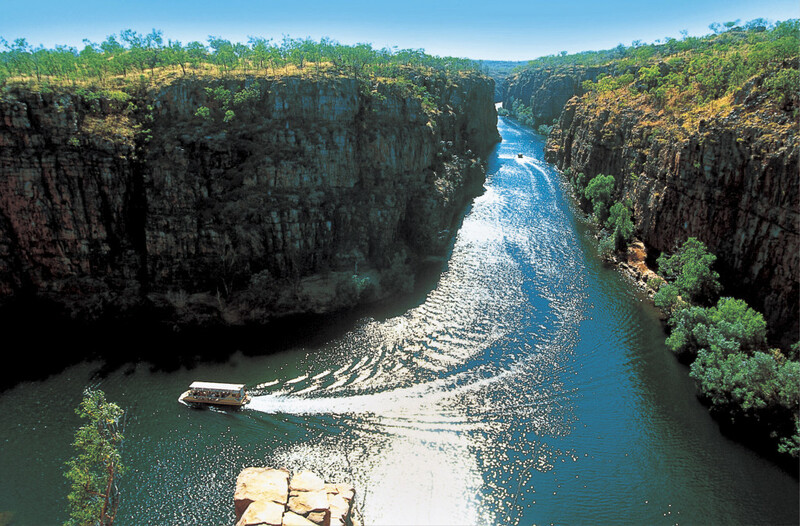 For tours departing from 1 April 2019 the scenic flight can be pre booked at the time of booking your tour. 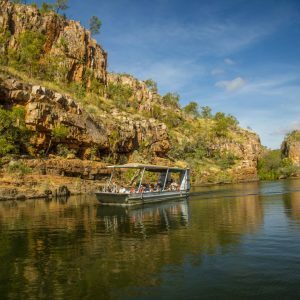 Enjoy a morning cruise through Katherine Gorge, one of the most visited sites in Australia’s Top End, it is a stunning network of thirteen gorges carved from billion year old sandstone that are home to many rapids and falls, flowing from the Katherine River. 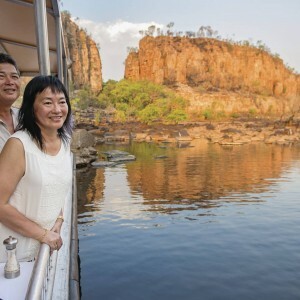 The cruise will put you at the heart of Katherine Gorge among freshwater crocodiles, wonderful bird life and some of the most amazing scenery the Northern Territory has to offer. Afterwards take a look through the Nitmiluk Visitor Centre. The Display Centre and Heritage Museum features large scale models illustrating the flora, fauna and rock formations of the park. 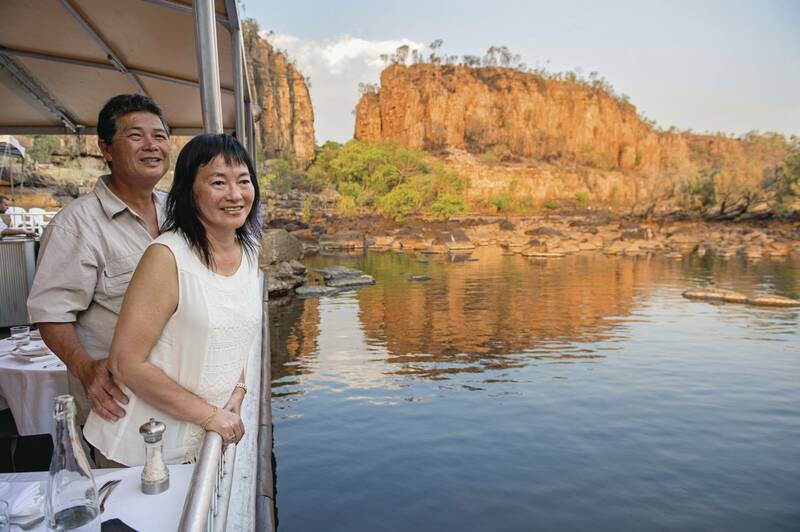 If you would like to purchase our own memory of Nitmiluk, the centre has a range of souvenirs and artifacts handmade by the Jawoyn people. 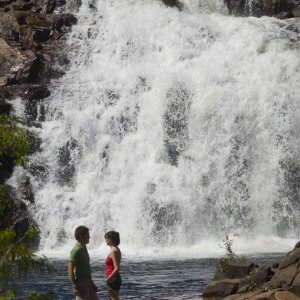 Next stop Pine Creek and historic gold mining town, then a stop at the Adelaide River War Cemetery, the resting place for many of those killed in World War II air raids on Darwin, before returning to Darwin. (Breakfast included). Child: A person 2–15 years, who must be accompanied by a person 18 years and over. 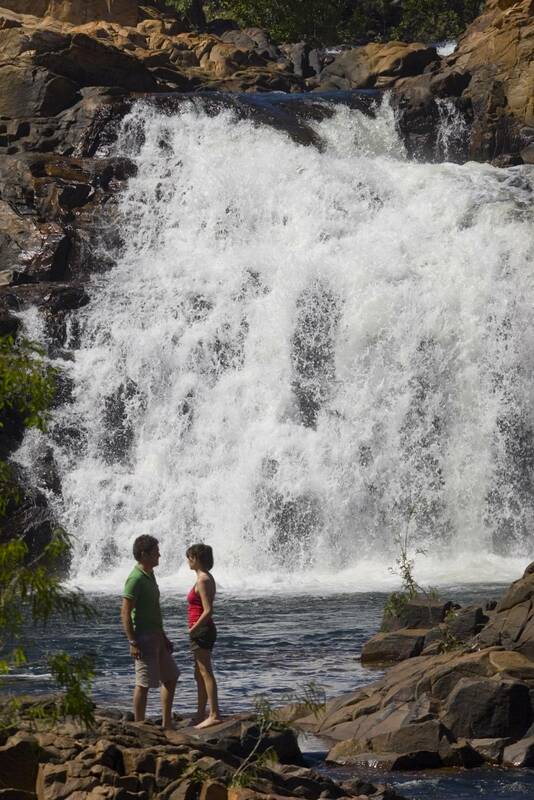 Kakadu National Park entry fee is included in the cost of your 3 Day Kakadu and Katherine Gorge Tour.